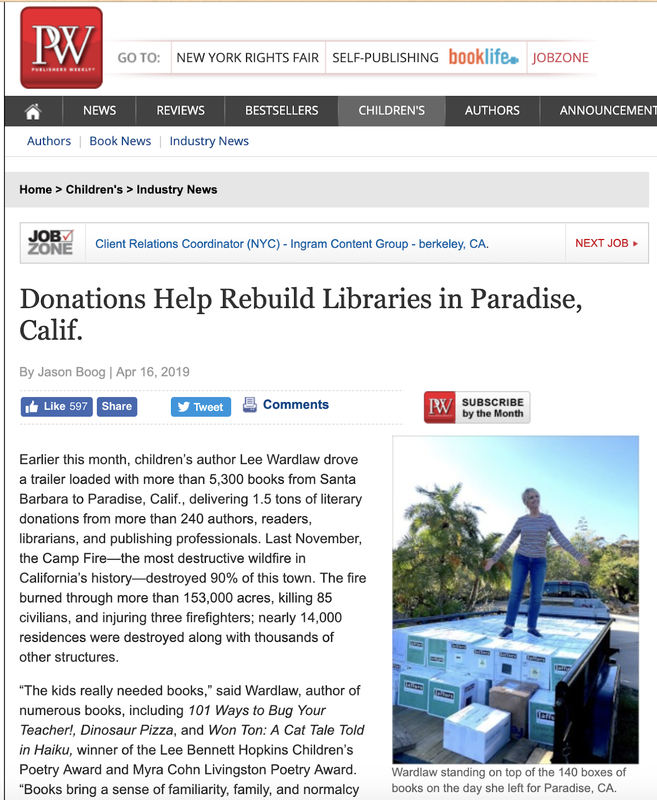 This article in Publishers Weekly, Donations Help Rebuild Libraries in Paradise, Calif., made me so proud of Lee Wardlaw and our children's literature community! 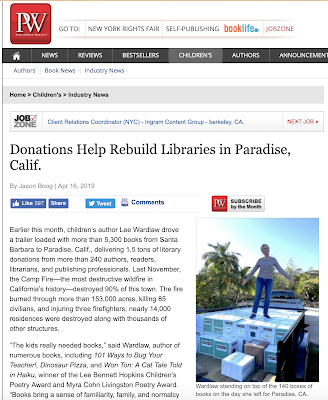 The article covers Lee's personal stake in recovering from wildfires (her own life experience and her debut book for children in 1990) to her leading the effort in the last months to gather and sort 5,300 donated books, and then, this April 2019, driving more than 1,000 miles roundtrip to deliver them to Paradise, California where they are so needed! Well done, Lee Wardlaw! We're cheering you on! You can find out more about Lee Wardlaw here. 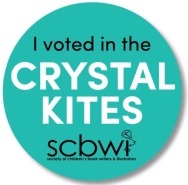 Get your "I voted in the Crystal Kites" badge by... voting! 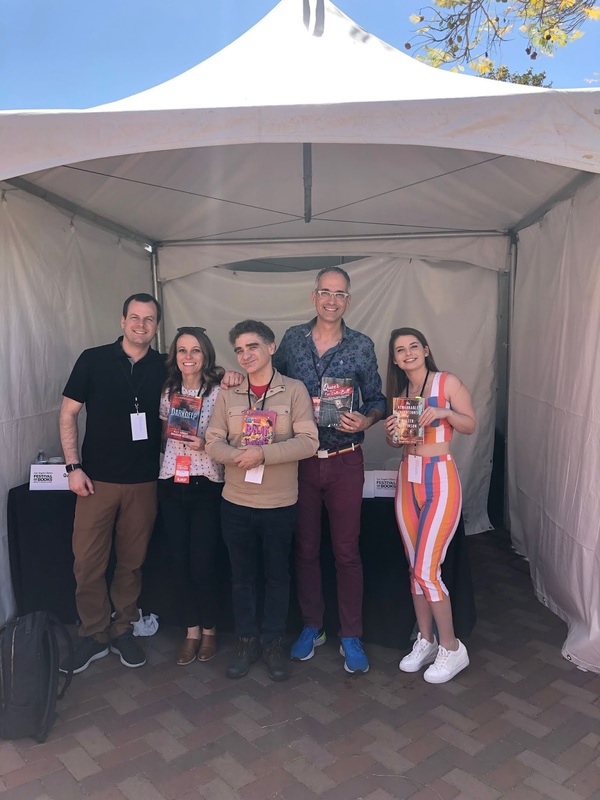 Vote between today, April 18, 2019 and April 30, 2019 (by 5pm Pacific) to cast your round two vote to help choose the winner from your geographic division! To cast your vote, log on to www.scbwi.org. Once you are on your Member Home page, go to the left navigation bar, scroll to the bottom, and click on Vote in the Crystal Kite Awards. That takes you right to the voting page where you'll see the finalists in your division. Then click the VOTE FOR THIS BOOK button below your chosen book and you are done! Winners will be announced in late May or early June, 2019. Good luck to all! Find out more about the SCBWI Crystal Kite Members Choice Awards here. Turned out, Carlos, Quinn, and Ally all mix the approaches, and then Brendan shared that instead of "plotting" and "pantsing," he liked a different metaphor—architects and gardeners. He expanded on the idea, saying that gardeners work with what happens, while architects plan everything out. And then, it occurred to me that for those of us who combine the two approaches, maybe we're landscape architects? The idea got a spontaneous wave of applause from the 100+ folks in the audience. So there you go, another way to describe process... I hope it's helpful. That takes you right to the voting page where all of the books in your division appear. Then click the VOTE FOR THIS BOOK button below your chosen book and you are done! There are eleven this year rather than the traditional ten, as "This Day in June" and "Two Boys Kissing" were tied for challenges. You can find out more about the Top Banned Books of 2018 list here. Illustrate and Write On (even if you worry it might be challenged or banned.) Sometimes, the gatekeepers aren't going to be pleased, but your message, your book, will make all the difference and transform a child or teen's life for the better. And that's worth fighting—and illustrating and writing—for. Becca Stadtlander - The Golden Kite Award Interview—Picture Book Illustration Winner for "Made By Hand: A Crafts Sampler"
Becca Stadtlander was awarded the SCBWI Golden Kite Award for Picture Book Illustration for her illustration of "Made By Hand: A Crafts Sampler" (written by Carole Lexa Schaefer) at the SCBWI 2019 Winter Conference in New York City on February 8, 2019. Lee: Congratulations, Becca! Please tell us about finding out you’d won this Golden Kite Award. Becca: Thank you! It was exciting, and totally unexpected. I found out on a Friday night when I was in the back of a friend's car on my way to a dinner party. Lin Oliver called me as I was about to step into a wine store to buy a bottle for the party. Hahaha, I was shocked, but completely thrilled. It was all I could think about all night, and then all I could think about for the following weeks. I was happy, but very very nervous about delivering the acceptance speech. Lee: Pitch us to move Made By Hand: A Crafts Sampler to the top of our TBR pile — What's it about? Becca: Made by Hand is a unique historical fiction book, that would please a huge age range, including adults. Carole Lexa Schaefer has created something beautiful about actual American folk art artifacts that remind me of the feeling I get when appreciating a family heirloom or well loved object. All of the items in the book are placed into individual stories about the people and hands that created them, ranging from the 1700s to 1950s. Lee: Is there an Ah-ha! Moment from creating the book’s illustrations that you can share? Becca: I joked a little about this in my acceptance speech, but for me it was all the hands I had to paint in the book. I'd love to report that I paint everything perfect all the time, but I'm a human, and that is not the case. At the time I started working on this, I was having troubling painting hands with confidence. This assignment really showed me that "practice makes perfect" or at least "perfectly acceptable". I drew them over and over and took so many photos of my own hands doing things, that I started gaining a much better understanding of what I was doing. Absolutely an "ah Aha" moment! Lee: How long have you been a member of SCBWI, and how has SCBWI helped on your journey? 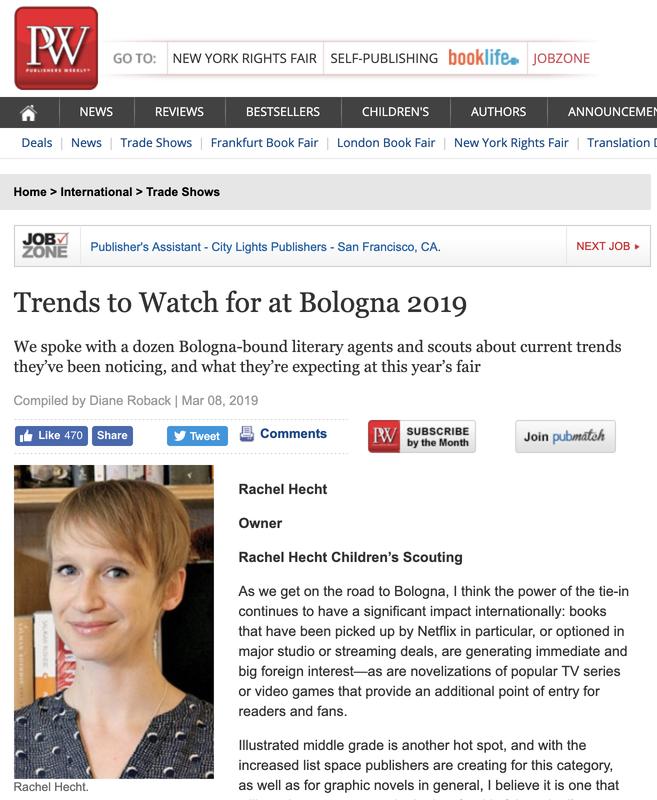 Becca: I have been a member of SCBWI member since 2017, so very new for me! I think it's been good to feel like I'm part of a larger community. Working from home can sometimes be very isolating, so it's been great to make me more aware of all the other artists and writers doing what I do. I got to meet some fantastic people at the Golden Kite Gala recently, and that was the best part! 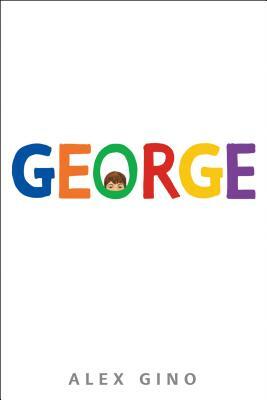 Lee: What advice do you have to share with other children’s book creators? Becca: I think the best advice I have ever received that I would be happy to pass on is to always be nice. The children's book world may seem like a big place but it is actually very small, and you can get far just by being nice and professional. Lee: Great advice—hurray for nice! 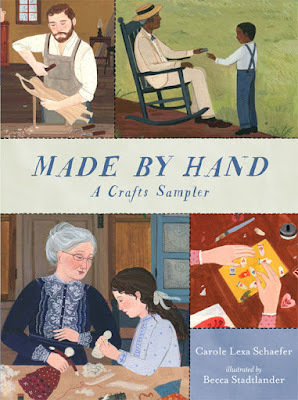 Thank you, Becca, and again, congratulations on winning the SCBWI Golden Kite Award for your illustration of Made By Hand: A Crafts Sampler! Find out more about Becca at this website. We all know we shouldn't write and/or illustrate to trends. 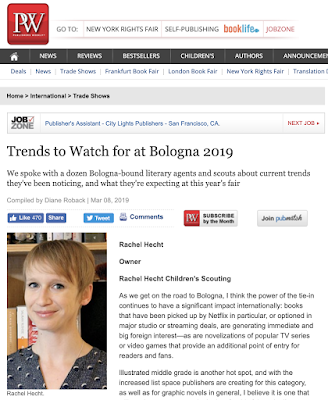 Having said that, these brief interviews, compiled by Diane Roback for Publishers Weekly in the article, Trends to Watch for at Bologna 2019, are fascinating. Check out what Rachel Hecht (of Rachel Hecht Children’s Scouting), Marcia Wernick (of Wernick & Pratt Agency), Mia Roman (of New Leaf Literary & Media), Samantha Fabien (of Laura Dail Literary Agency), Addison Duffy (of United Talent Agency), Josh and Tracey Adams (of Adams Literary), Kelly Farber (of KF Literary Scouting), Ammi-Joan Paquette (of Erin Murphy Literary Agency), Cecilia de la Campa (of Writers House), Molly Ker Hawn (of The Bent Agency), Victoria Wells Arms (of Wells Arms Literary), and Michael Stearns (of Upstart Crow Literary) have to say! 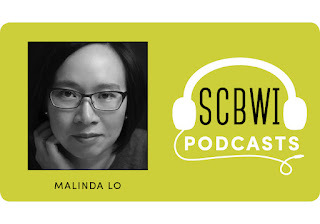 A Conversation with Malinda Lo - Listen to the latest SCBWI Podcast! 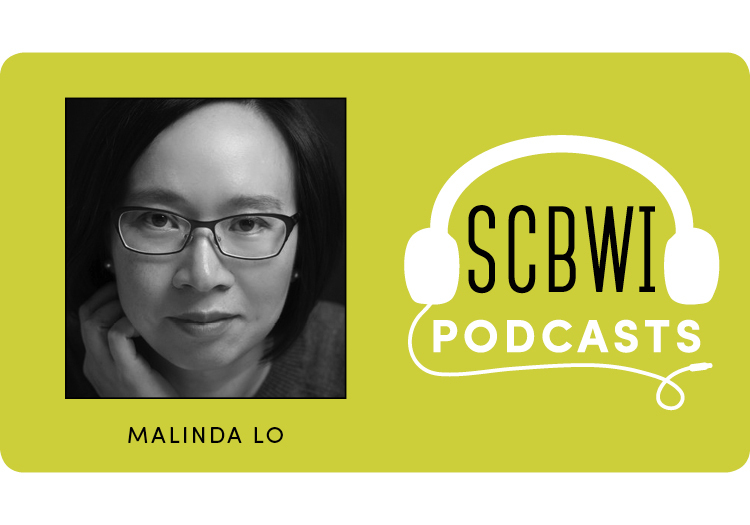 Malinda Lo is the author of several award-winning young adult novels, including most recently A Line in the Dark. Her novel Ash, a lesbian retelling of Cinderella, was a finalist for the William C. Morris YA Debut Award. Malinda speaks with Theo Baker about the difference between popular fiction and literary fiction, the role of research in her writing, revision, her dual coming out, and so much more! 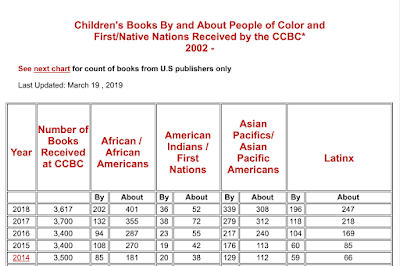 With the caveat (brought up in an excellent #KidLitCon2019 panel on Diverse Fantasy in the Real World) that quantity tells us some things, but we shouldn't forget about quality, these 2018 numbers from The Cooperative Children's Book Center, School of Education, University of Wisconsin-Madison are informative. Over the past five years, while there's been a modest growth in the number of overall books submitted for consideration (2014 had 3,500 compared to 2018's 3,617) there was significant growth in the number of books about African/African Americans (2014 had 181 and 2018 had 401), Asian Pacific/Asian Pacific Americans (2014 had 112 and 2018 had 308) and Latinx (2014 had 66 and 2018 had 247). Feels like progress. Less growth in the books about American Indians/First Nations (2014 had 38 and 2018 had 52). And in 2018, only about half of the books about African/African Americans were by African/African American creators (401 about, 202 by). 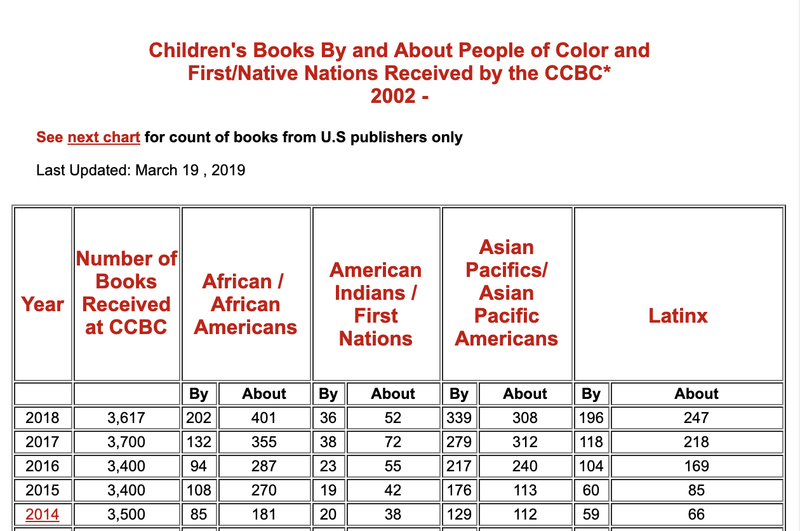 Asian Pacific/Asian Pacific Americans were the only group who created more children's books than there were children's books about their own stories (308 stories about, with 339 stories by.) Which does feel like progress, that there are stories outside of their Asian Pacific/Asian Pacific American identities/communities that these creators are telling, and that are being heard and published by our industry. 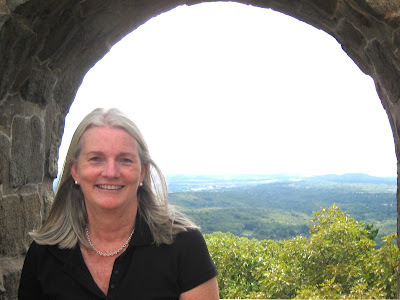 Susan Hood: The Golden Kite Award Interview—Middle Grade Fiction Winner for "Lifeboat 12"
Susan Hood was awarded the SCBWI Golden Kite Award for Middle Grade Fiction for her debut middle grade novel in verse, Lifeboat 12, at the SCBWI 2019 Winter Conference in New York City on February 8, 2019. Lee: Congratulations, Susan! Please tell us about finding out you’d won this Golden Kite Award. Susan: It was funny and a little embarrassing. I was away visiting my newborn granddaughter when Lin called my home phone. It was a Friday afternoon and Lin left a cryptic, congratulatory message and asked me to call her over the weekend. She called again on Monday morning when she hadn’t heard from me. We arrived back home Monday afternoon and my husband went to listen to the messages. He came back and told me someone named Lynn wanted to talk to me about a kite. Whaaattt? Then I found out that this so-called Lynn was Lin Oliver! Lee: (Chuckling.) Pitch us to move Lifeboat 12 to the top of our To-Be-Read pile — What's it about? Susan: Lifeboat 12 is a novel in verse, based on the true, but little-known WWII story of the SS City of Benares, a British ship evacuating working class children to Canada during the Blitz. Six hundred miles from shore, the ship was torpedoed by a Nazi U-boat and sank in thirty minutes. 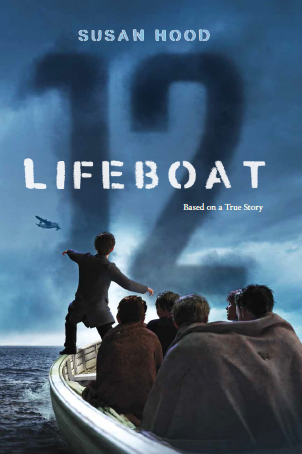 Six boys (ages nine through thirteen) escaped aboard Lifeboat 12 and attempted to sail back to shore. After eight days at sea, on the day their water would run out, thirteen-year-old Ken Sparks spotted the plane that saved all forty-five people aboard. It’s not often you find a story where a kid is truly the hero. As an author, what spoke to me about this true tale was the role stories and books played in this astounding rescue. During their eight days at sea, the boys told Bulldog Drummond stories to stay sane. When Ken spotted the plane, the captain ordered everyone down, suspecting it was a German aircraft that would strafe them. Ken disobeyed. He jumped up, waved his arms, and yelled, “I know that’s a Sunderland!” For the passengers of Lifeboat 12, plane spotter guides (bestsellers of the time) and stories about heroes quite literally saved their lives. It’s a good reminder that for many kids and for many reasons, books are lifesavers. Lee: What a story! Is there an Ah-ha! Moment from the book’s creation you can share? Susan: There were two Ah-ha Moments. The first was when I discovered the SS City of Benares and Lifeboat 12 in the childhood letters of my British mother-in-law. She, herself, was a child evacuee sent to Canada and she wrote home about this subsequent disaster. The second Ah-ha moment was when I FOUND Ken Sparks, the hero of the story, the boy who spotted the plane. He was 88-years-old, living north of London. I asked if I could interview him and he said, “Come on over any time, Lovie!” My husband and I traveled to England and spent two weeks interviewing Ken and doing research in the National Archives, the British Library, and the Imperial War Museum. Susan: I’ve been a member for nearly twenty years, including the time I was a children’s book and magazine editor. When I became a full-time author, I joined an SCBWI writers’ group and I’ve been with them for ten years. They’ve helped me in so many ways—finetuning my craft, sharing a laugh, celebrating the good stuff, smoothing the rough stuff. The conferences are a godsend where you can learn from the best in the business. I took an all-day intensive about novels in verse at the NYSCBWI conference and it was a huge help in writing Lifeboat 12. Susan: Read. Read hundreds, if not thousands, of books in your genre, both classic and contemporary titles. You’ll see what’s been done in the past and how new authors are shaking things up. Focus on your craft before you worry about getting published. You’ve got to learn the rules before you break them. If you want to write in rhyme, master poetic techniques, especially meter. To see how picture books work, here’s a tip. Type up the text from a favorite book. Seeing the text separate from the art will illustrate how the two work together to tell a story. Take the time to do your homework and find the right agent. It may be the most important research you ever do; he or she will make all the difference in your life! A good place to start the hunt is at publishersmarketplace.com on the Dealmaker’s page. Develop a thick skin and patience. There’s a lot of rejection along the way and it may have nothing to do with your book. Publishers have many criteria for each season’s list and your book may not be a good fit, considering what else is on the editor’s plate. Once you make a deal, a picture book takes two to three years to produce (if not more!) so patience is key. In the meantime, keep writing! Don’t be afraid to try something new and don’t be afraid to ask for help. Lean on the extraordinarily generous community of SCBWI. Lee: Excellent advice, thank you Susan. And again, congratulations on winning the SCBWI Golden Kite Award for Lifeboat 12! Find out more about Susan at her website here. Would it Change How You Wrote (Or What You Wrote) If You Knew It Would End Up On The Moon? This news story, A 30-million page library is heading to the moon to help preserve human civilization, really captured my imagination. Especially wondering about the whole selection process of which stories would represent humanity. Which brings us to the headline question: Would it change how you wrote if you knew it would end up being studied in some distant future? Would it change what you're working on? Every book, TV show, movie, song, story, instagram post, is a time-capsule, of both the era its written about and the era its written in. The Star Trek TV episodes presented a very late 60s vision of the distant future, but the hair styles always reminded us it was a vision envisioned in 1968. And it's not a unique thought that our books, our stories, are a legacy we leave behind when we're gone. 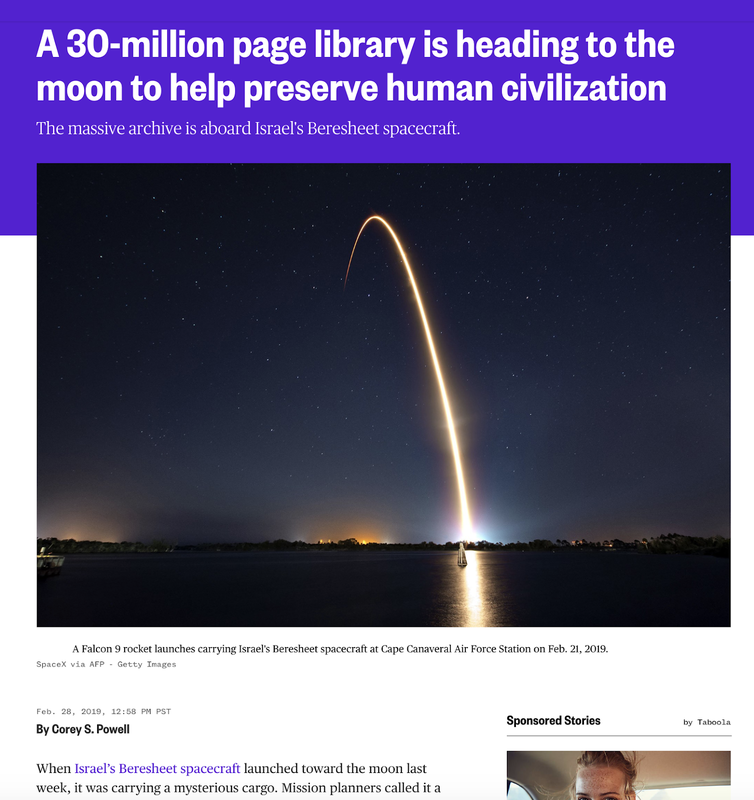 Maybe the knowledge that your story would end up part of this archive wouldn't change anything. Maybe it shouldn't. Jane Yolen: The Golden Kite Award Interview—YA winner for "Mapping the Bones"
Jane Yolen was awarded the SCBWI Golden Kite Award for her YA novel, Mapping the Bones at the SCBWI 2019 Winter Conference in New York on February 8, 2019. Lee: Congratulations, Jane! Please tell us about finding out you’d won this Golden Kite Award. Jane: My snarky answer is by hard work and not writing to get an award. The true answer is the phone rang and it was Lin. I thought she wanted to talk about either a project we were considering doing together or my decision to leave the board or ask for advice about something else going on. We've been friends since SCBW (without the I) began. And she said that MAPPING THE BONES had won and I (and you know me so this was BIG!) was speechless. Then she said "Who would you want to introduce you and say a few words about you and the book?" And I said, "Can I have two people?" She said, Sure." And I said, "(My daughter) Heidi who gave up the two weeks on a small island in Maine to sit out while the others were kayaking to be my beta reader. She had also been moral support in the 4 1/2 years I worked on the book, and you, Lin, because we have been friends for so long." Lee: It was a lovely moment. 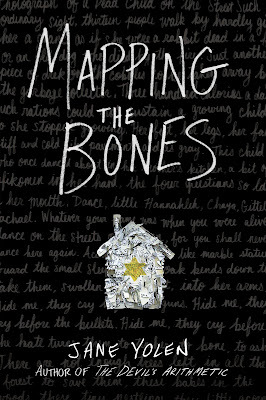 Can you pitch us to move Mapping The Bones to the top of our To-Be-Read pile? Jane: A Holocaust novel hung on the armature of Hansel & Gretel, set first in Lodz ghetto, then in the forest with the partisans, and lastly in a labor camp. And yes, there's a witch character (A Nazi of course) and an oven. Lee: Wow. Is there an Ah-ha! Moment from the book’s creation you can share? Jane: I didn't know until about five chapters from the end who the witch character was going to be though given this was a Nazi camp, I had the oven ready. But since the main characters are twins, Chaim and Gittel. and I'd seeded the Mengele twin experiments earlier, it was just a matter of time till I figured it out. Jane: I was actually the second member, right after Sue Alexander who told me about the nascent group started by Lin and Steve. Right after me, or at least the next pro to join after me was Sid Fleischman, so we were the first speakers at the first (not conference) dinner I think there may have been 50 people there, including Lin's parents, my dad, Steve's parents. Sue is, alas, dead as is Sid. But Lin and Steve and I keep plugging along. As for what SCBWI has done for me--given me a huge subset of book friends, some I have introduced to the organization. Others took over the region after I invented New England Region of SCBWI, the very first region and I was the very first regional advisor. I ran it for ten years. and the conference for ten years. And I ran the monthly the critique critique group for 25 years. Trust me, the RAs and their crew do a MUCH better job that I ever did! And now things are no longer just centered in the Pioneer Valley where I lived then and live still. Lee: Thank you so much, Jane. And again, Congratulations on your win! 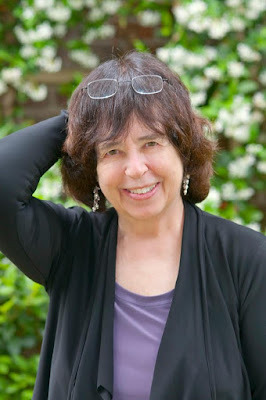 Find out more about Jane Yolen at her website here.